The Southern Cassowary (Casuarius casuarius) is a large flightless bird found in the wet tropics of Australia and in parts of Papua New Guinea. The call of the cassowary is one of the lowest frequency sounds made by any bird. More of a non-vocal sound than a ‘call’, cassowaries create this booming rumble from deep within. With head tilted down toward the ground, its whole body vibrates as the sound is produced. While scientists are not sure exactly what internal mechanism creates the sound, it is clear from watching a cassowary that it uses its body to amplify sound. Going to as low as 24Hz, these deep calls are bordering on ‘infrasound’. Low-frequency sounds carry a significant distance and are no doubt an effective way for cassowaries to communicate in dense rainforest. 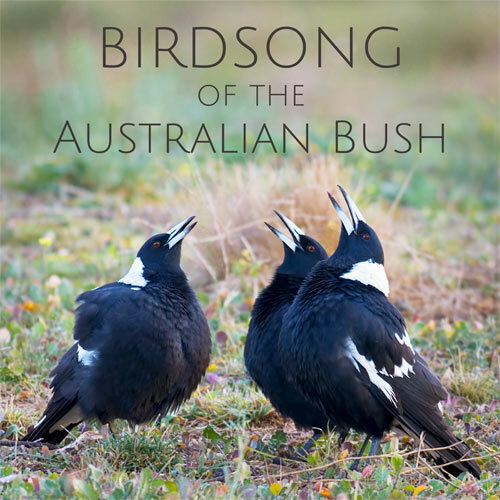 I recorded this first sample from a captive bird in a wildlife park near Sydney, Australia. Hearing the call up close was an a little unnerving – I ‘felt’ the sound as much as I heard it. It sounded more like the growl of a large mammal than a bird! To appreciate the power of this sound you’ll need decent speakers or headphones – speakers on a mobile device or laptop won’t do it justice! 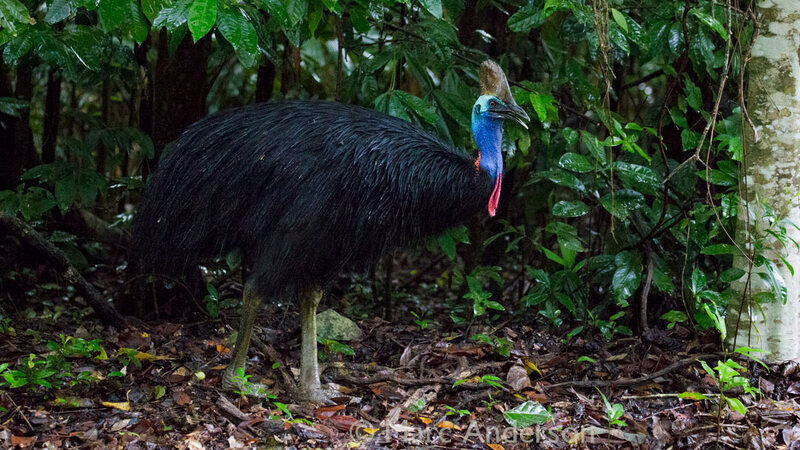 The recording below features four deep vibrating booms of extremely low frequency from a cassowary in rainforest in the Daintree. You’ll need decent headphones or speakers to hear this call well. Does Rain Forest Bird “Boom” Like a Dinosaur?